← How to Stream Local Video/Movies to TV via Xbox One? As a mighty video streaming, Roku 3/4 provides some of the most robust movies and shows from most major streaming providers including Netflix, Amazon Instant Video and HBO Go. However, out of the box, the Roku 3/4 doesn’t support direct playback of digital media content stored on your computer. 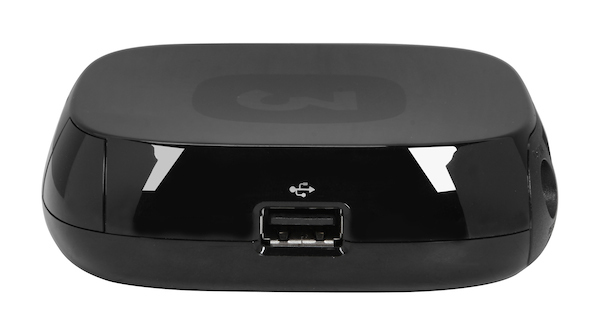 Fortunately, the Roku 3/4 has USB ports, which allows you to access local media files through an external USB drive. 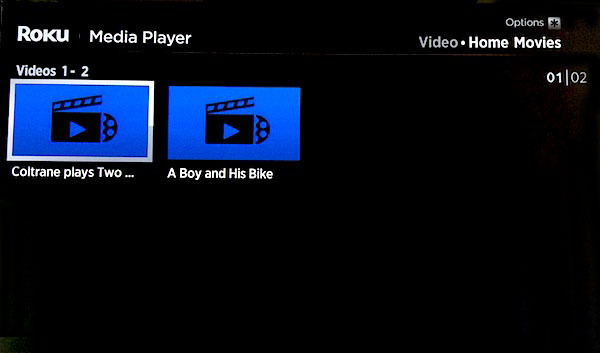 The following article will show you how to watch videos movies on Roku 3/4 via USB drive. 1. Install the Roku Media Player channel, either through the Channel Store on your Roku or via Roku’s website. 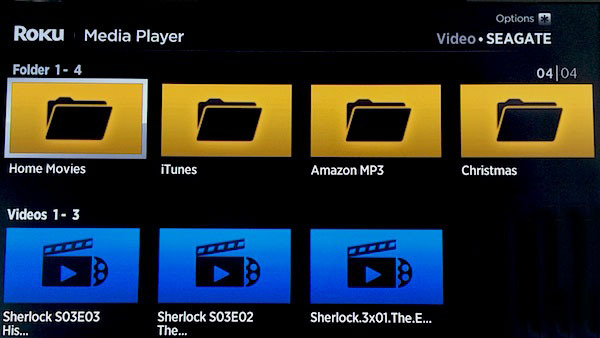 If you want to add some incompatible file formats such as AVI, FLV, Tivo, VOB, MTS, MXF, etc from local computer to USB drive for playback via Roku 3/4, you can use a third-party video conversion tool such as Pavtube Video Converter for Windows/Mac (support Mac OS X El Capitan) to convert all above listed or other unsupported file formats to Roku 3/4 readable file formats. 3. Connect the USB drive to the Roku 3/4’s USB port, located on the right side of the box. 4. Launch the Roku Media Player channel and select Videos. 5. Choose the USB drive that’s attached to the Roku 3/4. 6. Navigate to the folder that has the video file you want to watch. Click “OK” to open the folder. 7. Select the video to watch and click “Play” on the remote. Step 1: Load video/movie files to the program. Run the program on your computer, click “File” > “Add Video/Audio” to import Roku 3 incompatible videos/movies to the program. 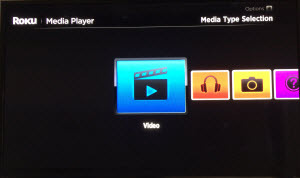 Step 2: Output Roku 3/4 supported playback formats. 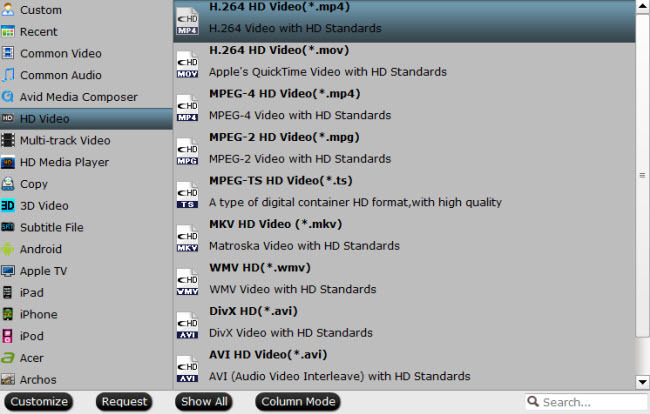 Tips: If you like, you can click “Settings” to change the video encoder, resolution, frame rate, etc. as you wish. Keep in mind the file size and video quality is based more on bitrate than resolution which means higher bitrate results in big file size, and lower visible quality loss, and vice versa. Step 3: Start video to Roku 3/4 conversion process. Go back to the main interface, click right-bottom “Convert” button to start convert any video to Roku 3/4 USB playable formats. When the conversion is completed, you can find the converted file on your computer by clicking the “Open Output Folder” button. Afterwards, follow the guide below to stream any local media files from your computer to Roku 3/4 via USB drive. Have large collection of movies on Blu-ray or DVD disc and wish to make a digital copy of Blu-ray/DVD for playing on Roku via USB drive? 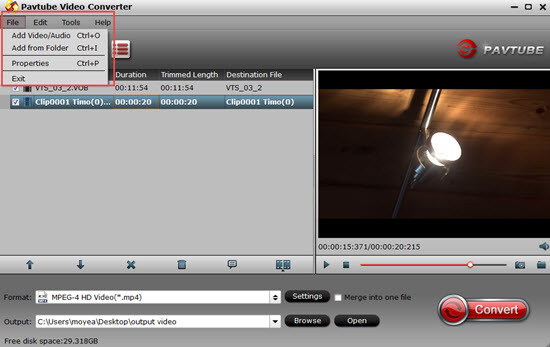 Pavtube Video Converter Ultimate for Windows/Mac (best Video Converter Ultimate for Windows/Mac) can be the best solution for you to rip & convert copy & region protected Blu-ray/DVD and other online downloaded videos or movies to Roku 3/4 most favorable video and audio formats for playback via USB drive. 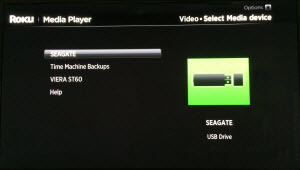 How to Play AVI Files on Roku 4/3/2 with USB Drive?